In 2012, a group of aspiring graduate students from STP Trisakti organized Rendang Journey, a series of events to promote and appreciate Indonesian culinary world revolving around rendang as the main star. During the seminar at the Ministry of Tourism, I was utterly impressed with a book that explains rendang from a perspective never seen before. Yes, that’s when I first saw Reno Andam Suri, who was featured as one of the speakers, alongside her monumental work – The Rendang Traveler. Thoroughly researched but written casually, the book boasts also the beautiful presentation of the dishes as well as the landscape of West Sumatra. It ultimately lays the groundwork about the origins of rendang and its philosophical approach, but it also explains that ultimately there are so many other varieties other than the one we usually have in Padang restaurants. On why she had to go through such length to document the whole thing was finally explained during our meet up quite recently. Truth be told, the book was not the trigger for Reno Andam’s adventure with rendang. 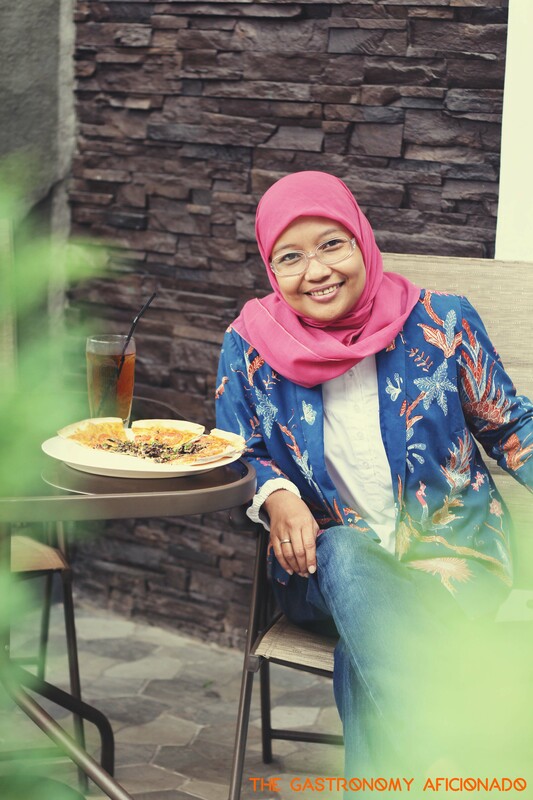 It was all started in 2004 with the foundation of her home food business Rendang Uni Farah, named after her eldest daughter. As we all know, most Padang households usually have good home cooks and the knowledge passing technique inspired many of them to start their own businesses. “However, much to my dismay, people are only interested in talking more about the flavors but not about the story behind rendang. That’s when I decided to pour in my energy to create this book”, explains Reno. While she also personally financed the whole project, Reno wanted to cover many areas previously unheard of about rendang and she shares the story from a perspective of a traveler. The book gained good recognition locally and even Mari Elka Pangestu, the previous minister of tourism, asked her to start the English version. However, long story short, the book was not warmly received by international publishers because rendang for them is considered to be a highly specialized subject and they needed more than just that. While it may seem like a double standard if one compares it to books exclusively talking only about kimchi or tom yum for example, but quite seemingly, it’s because that rendang has not yet reached the desirable prestige on international scale and that it may need more time for us and the government to work on that. Writer to writer, I was quite curious on how she does her writing projects while keeping the balance of family life and business at the same time. “Of course, family comes first and it’s a good thing that I can now delegate the rendang business to my employees. So, after I take care of my family in the morning, the me time is usually filled with writing and sometimes I go out by myself to the cinema”, she confesses and was in fact, already planning to watch Interstellar after the interview. Of course I ask about what she’s writing currently. “Hopefully, this will become a trilogy. I’m currently working on stuff about nasi kapau and sweets from Padang. Wish me luck for that!” exclaims Reno excitingly.